The latter half of 2012 should see some exciting developments in tech including a new iPhone, Windows Phone 8 smartphones, Microsoft's Windows 8-powered Surface, Android 4.1 devices, and tablets, lots and lots of tablets. Apple is expected to introduce a smaller iPad before December, Amazon may roll out its follow-up to the original Kindle Fire, and Samsung may be one of the first companies to get on board with Windows RT. Here's a look at some of the hottest tablet speculation that we may see turn into actual products before the holidays. Apple may be getting ready to stop competitors from invading the iPad's turf with a low-priced 7-inch iPad to take on Amazon's Kindle Fire and Google's Nexus 7. Bloomberg recently reported that Apple was prepping a 7-inch tablet that would launch in October for $200. On Sunday the The New York Times reported a similar story to the news wire, but added the new iPad Mini will have a 7.85-inch screen. The Kindle Fire and Google's Nexus 7 are seeing some success against the iPad by not taking on the iPad. The two companies sell $200 tablets designed largely for content consumption instead of trying to offer an iPad-like device that can replace your laptop in a pinch. The Fire and Nexus 7 each operate by providing deep hooks into each company's content stores to make it easy for people to buy more movies, TV shows, apps, and games. The strategy of focusing on content consumption appeared to work for Amazon, and critics are already saying good things about Google's Nexus 7. Amazon announced the original Fire in September 2011 and, as we close in on the tablet's one year anniversary, thoughts turn to what Amazon may have planned as a follow-up to this tablet. A May Reuters report in May claimed the next Kindle Fire will offer an 8.9-inch display. Earlier in July, an analyst for NPD DisplaySearch told CNET that Amazon was prepping three versions of the Kindle Fire 2, including a 7-inch tablet with a screen with 1280-pixel-by-800-pixel resolution, a camera, and a 4G option. 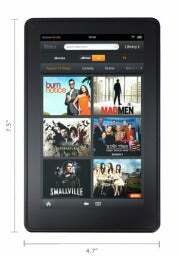 The current Kindle Fire features a 7-inch display with a resolution of 1024 pixels by 600 pixels. The Times' Sunday report about the mini iPad also claimed that Amazon is prepping a bigger version of the Fire to take on Apple's tablet. There are no details about screen size or functionality, so it's not clear what the purported device would be like or if it would actually be designed to take on the iPad. More likely--at least in my view--is that Amazon would prep a larger version of the Fire that is better adapted to consuming visual content such as movies and gaming. But to keep the price low, Amazon would offer fewer hardware features than Apple's tablet such as GPS, Bluetooth, and front- and rear-facing cameras. 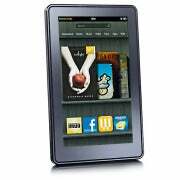 Rumblings about a bigger Kindle Fire have been circulating for some time. The latest report before the Times claim was from BGR in June saying the new Amazon device would have a 10-inch display and quad-core processor. Samsung will have one of the first tablets out of the gate loaded with Windows RT, the version of Windows 8 designed for ARM processors, according to Bloomberg. The device will purportedly feature a Qualcomm Snapdragon processor, but no other device details are known. Samsung's Windows RT tablet should debut in October when Windows 8 is set for a public launch. We already know that Microsoft will roll out its Surface tablets later in 2012 and into 2013, and Acer in June said it plans to launch a Windows RT tablet in early 2013. 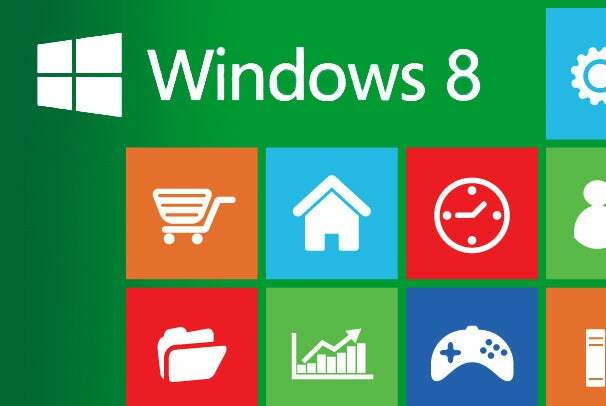 As we get closer to the Windows 8 launch in October, more details should be announced about the upcoming crop of Windows 8-powered tablets.